When it comes to camping, the quality of tent zippers cannot be compromised. Imagine tucking in for the night after a very rainy day of camping, only to find that the tent zipper refuses to zip close and its teeth has come loose. Without a repair kit and replacement zipper on hand, the campers will soon be in for a very wet, cold, and windy night. There are two types of zippers commonly used in tents and other canvas items. First is the coil zip. 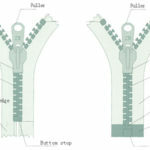 Also known as the “spiral” zip, this type of zipper has continuous coils of material (usually nylon, but also polyester and metal wire) running along both sides of the zip. 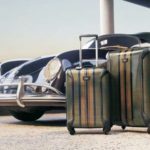 Its main feature is its flexibility- it can be used on curved tent doors and suitcases/bags with curved openings. However, its main drawback is that it can easily kink or bunch up on itself, thus resulting into stuck zippers that refuse to open or close. 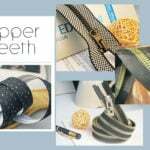 Next is the “tooth” zip, which is also known as the Vislon or “chunky” zip. The name “Vislon” comes from the water and corrosion-proof Vislon plastic that this kind of zipper is generally made out. 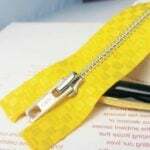 It is also called as the “tooth zip” because of the fact that the teeth of the zipper is molded directly on the tape. While very tough, tooth zippers can be rendered useless if the individual pieces of the teeth gets dislodged or broken. Both coil and chunky zippers come in continuous and open-ended forms. Continuous zips are unopenable on one or both ends and usually come in lengthy pieces that can be cut to size, while open-ended zips are the opposite and come in a range of set, pre-determined lengths. The teeth width and thickness vary from manufacturer to manufacturer. It’s best to double check if the size is correct for the tent. Select coil zippers if a tent has curved tent doors, and select Vislon ones if toughness is the main priority. Besides, choose heavy duty zippers for heavy duty tasks and frequent use. Always keep the tent and its zippers free from grit and dirt. 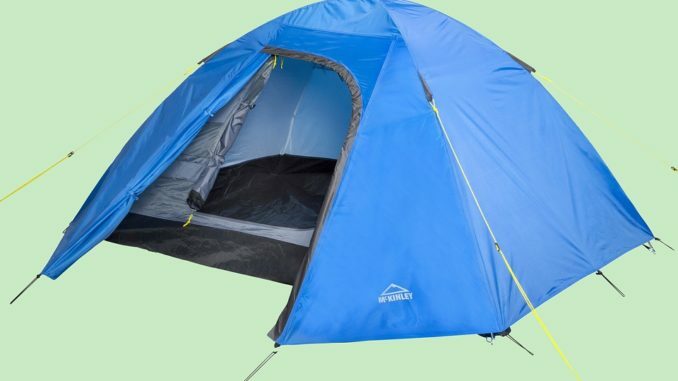 After using the tent, shake it out to remove the dust and dirt, and wipe the zippers with a piece of cloth. Don’t force zippers if they refuse to budge. If fabric somehow gets caught in the teeth, gently work it out instead of pulling on it. 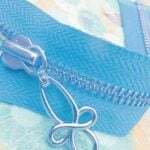 The slider or coil can be easily damaged if the zipper is pulled too hard. Use zipper lubes so the tent can be zipped up smoothly and without snags. However, do take note that applying lube or any other grease-based product on the zipper makes it more prone to dirt and dust. Wipe and clean the zippers fairly regularly if lubrication is used.